President Trump likes to act as if his endorsements are as good as gold, but two key races featuring candidates he backed ended with a question mark on Tuesday night. While Ohio congressional candidate Troy Balderson and Kansas GOP gubernatorial candidate Kris Kobach currently have narrow leads in their respective races, both were too close to call (though that didn’t prevent Balderson from calling it, or Trump from claiming credit). The results were far more decisive on the left. There was no stunning progressive upset like Alexandria Ocasio-Cortez’s win in the Bronx, as establishment candidates beat out more liberal challengers in several races. Here’s a look at the key results in each state. Republicans had to throw everything they had into the special election in Ohio’s 12th Congressional District just to give Balderson a lead of less than a single percentage point over his Democratic challenger, Danny O’Connor. Balderson declared victory on Tuesday night, though O’Connor has yet to concede, and the race could ultimately be decided by absentee and provisional ballots. If Balderson’s lead drops from 0.9 percent to below 0.5 percent, state law requires a recount — but absentee and provisional votes won’t be counted for another ten days. Backing Kansas Secretary of State Kris Kobach in the state’s Republican gubernatorial primary was a bit riskier than Trump’s previous endorsements, as Kobach is challenging the state’s current governor, Jeff Colyer. 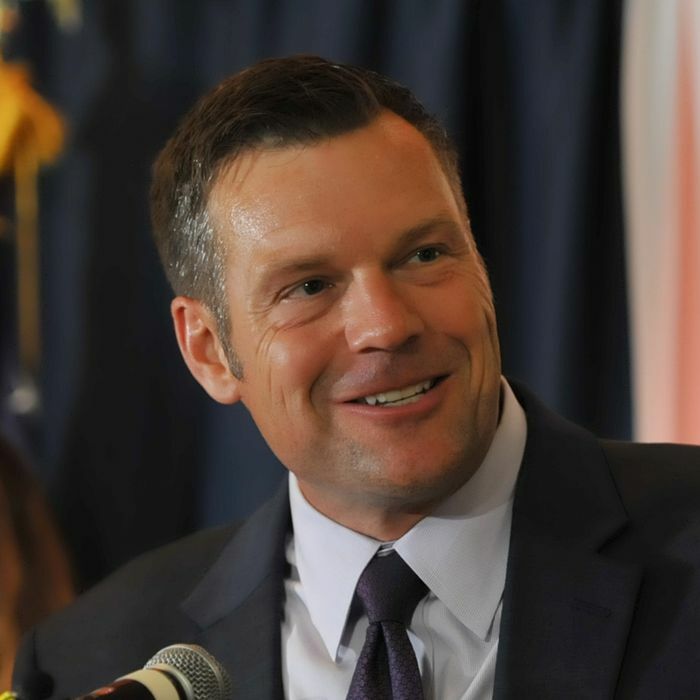 But Kobach, an anti–illegal immigration and voter-fraud crusader, has been a loyal Trump supporter, essentially running the president’s now-defunct voter integrity commission. Kobach currently has the narrowest of leads over Colyer, with 40.6 percent of the vote to the governor’s 40.5 percent — a margin of only 191 votes — with 100 percent of districts reporting. 100% now reporting in #KSGov GOP primary and you have to think it's headed for a recount because goodness gracious -- 191 votes! With votes from Johnson County delayed, Kobach sent his supporters home just before 1 a.m. In November — after the inevitable recount — Kobach or Colyer will face Laura Kelly, a state legislator who easily won the Democratic primary. Former State Senator Gretchen Whitmer easily won Michigan’s three-way Democratic gubernatorial primary. With 96 percent of precincts reporting, she had more than 51 percent of the vote, followed by Abdul El-Sayed with just over 30 percent. El-Sayed, a progressive backed by Senator Bernie Sanders, hoped to become the nation’s first Muslim governor. Finishing third was millionaire Shri Thanedar, with around 17 percent of the vote. Whitmer will face Bill Schuette, the state’s Republican attorney general when Democrats attempt to reclaim power in the state Trump won in 2016. As expected, Missouri’s Democratic Senator Claire McCaskill and Republican Attorney General Josh Hawley easily won their respective primaries. Their contest is expected to be one of the most closely contested Senate races in the country. In another loss for progressives, U.S. Representative William Lacy Clay fended off a challenge from his left, defeating nurse and activist Cori Bush, who was backed by Ocasio-Cortez, by 57 percent to 37 percent.